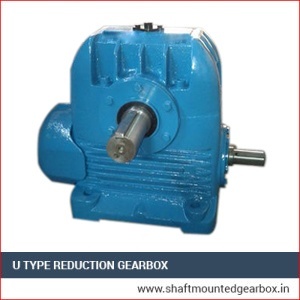 With the aid of our well-experienced & proficient team of professionals, we manufacture a wide array of U-Type reduction Gear Boxes that are accessible with a set of rotating gears so as to provide power supply or to modify motion or torque. 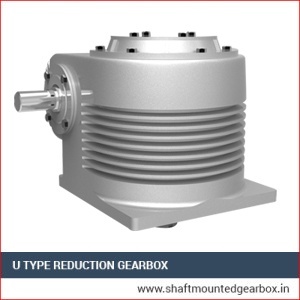 These are extensively utilized in heavy duty application fields due to their proficient functionality and high reliability. We manufacture them utilizing high grade raw material and components and the state-of-the-art technology as per the norms of the industry. These can be obtained in customized specifications as per the application of our customers. 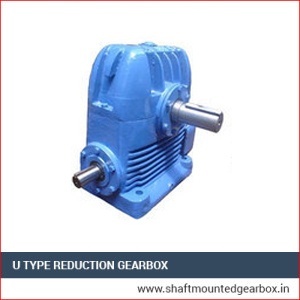 These are immensely demanded by our customers due to their sturdy make, excellent durability and user-friendly aspects. These high performance products are easy to install and maintain and are very cost-effective too. These are accessible with us at affordable rates.